The Mid State Trail (Link to Guied)(MST) is a wilderness foot path across Pennsylvania from Bedford County in the south to Tioga County in the north. Features of the MST are its many views and side trails, its sense of isolation and remoteness and its use of metric measure. Unique features are the tunnel under Paddy Mountain and a portion of the Great Island Indian Path near Ravens­burg State Park. The latter is believed to be one of only two or three bits of unpaved Indian paths on public lands in Penns Woods. The Mid State Trail Association (Copy write) (MSTA) is an organization of trail overseers and others formed in 1982 and dedicated to the completion and preservation of the Mid State Trail System. With the exception of the West Branch Valley crossing in the north and Hewitt in the south, the MST is almost entirely on public lands, mostly state forest, but vital stretches of state game land and state park lands are included. The MST links or traverses a state game land, two scout camps, four wild areas, four fire towers, if our state forest picnic areas, five state forests, seven state parks, nine natural areas, and the Wool rich factory outlet store. This is the first edition to describe the main trail in both directions. Side trails are still described in only one direction. The trail description is separated into eleven sections divided by paved roads or highways. Crossings of roads that can be navigated by an ordinary car are noted in this guide as intermediate access points. The MST is still a rugged and demanding trail. In Rothrock State Forest the MST consists largely of ridge top trail built since 1969 by the Hiking Division of the Penn State Outing Club and other groups. East of Stillhouse Hollow in Bald Eagle, Tiadaghton, and Tioga State Forests the MST follows many old trails linked together with lengths of new trail. 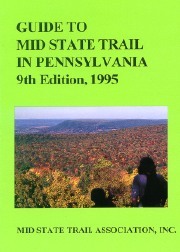 Other groups which have helped build the MST include convict laborers from Huntingdon State Prison, Standing Stone Garden Club, CETA trail crews, Girls Scouts, Youth Conservation Corps, Boy Scouts, adjudicated juveniles, Mid State Trail Association, community service workers, PSU Faculty Women's Club Hiking Interest Group, Bucknell University Outing Club and Susquehanna University Outing Club. The trail is blazed in orange and the side trails are in the normal blue. The LINK Trail starts at Greenwood Furnace State Park using the Greenwood Spur Trail to connect to the LINK Trail that links up the Mid-state Trail and the Tuscarora Trail. 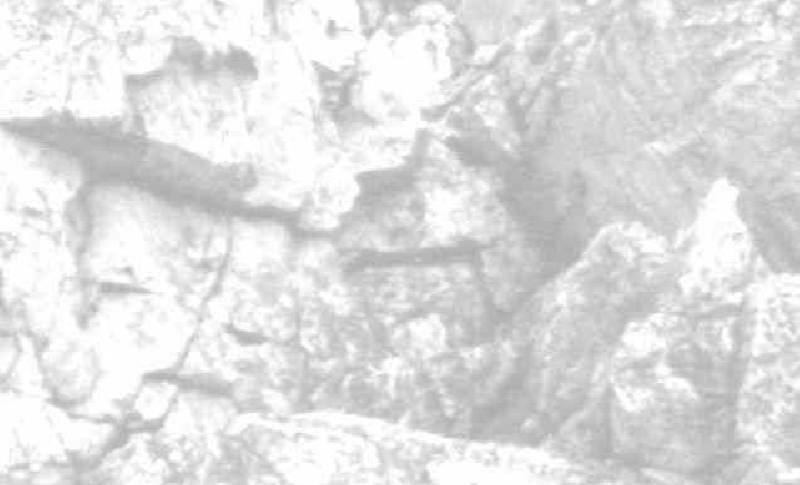 The Tuscarora Trail was Built at a time When it was thought the A.T. Trail would be lost to land disputes.